Skipping rope is one of the best cardiovascular activities around. However jump ropes haven’t changed much in the past few decades – that is until now. 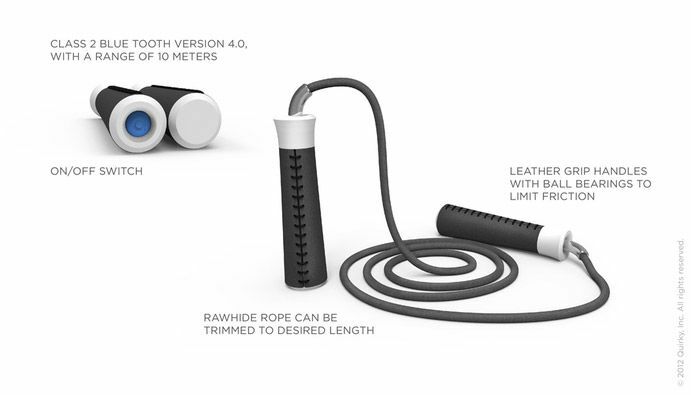 Revolve is a new type of Bluetooth-enabled jump rope that monitors every aspect of your jumping practice as well as your health while using it on a mobile app. Ultra low friction ball bearings. Rope can be changed to a desired length. Bluetooth v 4.0 (30 foot and an ON/OFF switch). 2 weeks battery life (2 months on standby). 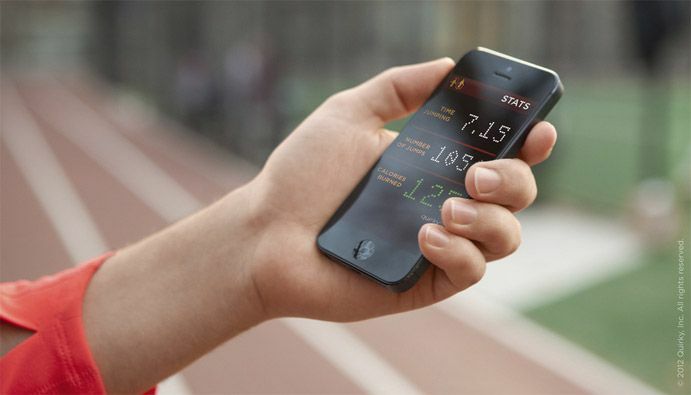 Free app that can record, number of jumps, RPM, BPM, calories burned and can create an extensive training program for the user. 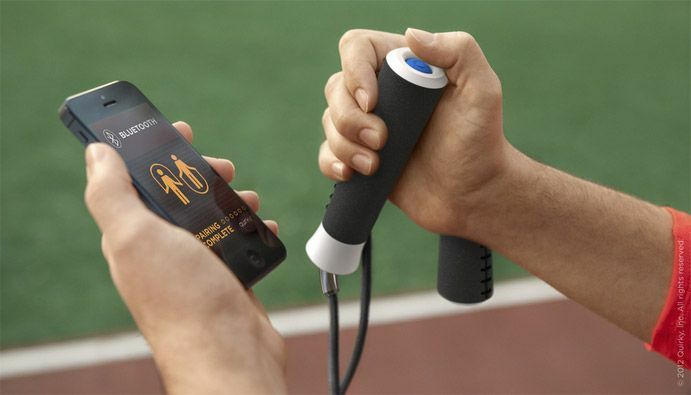 Extreme Sports Land also recommends Bluetooth-enabled jump rope for all extreme sports junkies. And it makes sense. Extreme sports athletes live on the edge and Bluetooth rope can help with their training. In terms of materials the Revolve uses a Plastic handle and a Leather grip (somewhat of a strange choice if you ask us), Rawhide leather rope, an aluminum rope spout and steel ball bearings. The cord is 9 feet long and 0.2 inch in diameter. Revolve is a project which currently appears on the Quirky website. Quirky is a NY industrial design company, which uses crowdsourcing to pick products it will design and manufacture. Quirky users vote for products users put on the site and the ones chosen get designed, manufactured and marketed by the company (the inventor do get up to 30% of any resulting revenue). You can find more information on the Revolve (and vote) on the Quirky website. TFOT recently covered several sport related technologies including the FIT T-shirt that will monitor your health wirelessly a T-shirt that can be used as a ultra powerful flexible battery but still retain all the normal properties of a conventional shirt developed by researchers from the University of South Carolina.